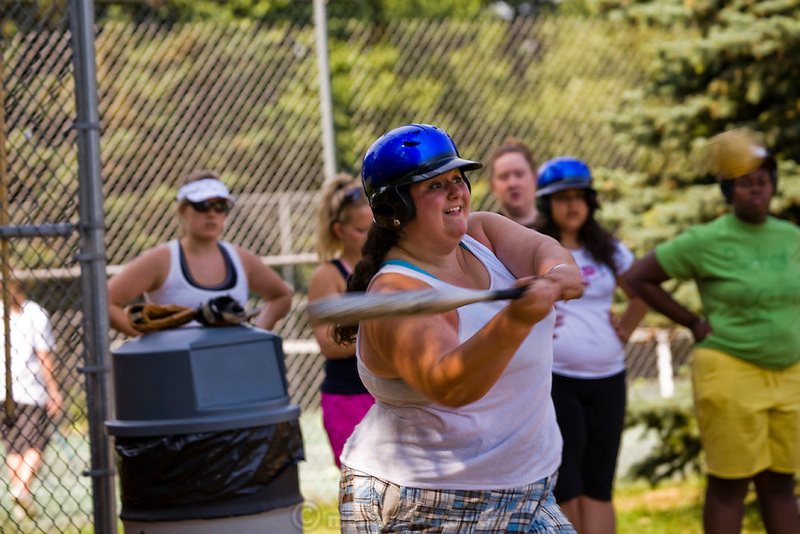 Mackenzie Wolfson plays softball with her counterparts who are also part of a weight loss program at Camp Shane in the Catskill Mountains, New York. (MacKenzie Wolfson is featured in the What I Eat: Around the World in 80 Diets.) There are about 500 male and female campers housed in small cabins on shaded hillsides overlooking athletic fields, a small lake, and the camp's most important building, the cafeteria.